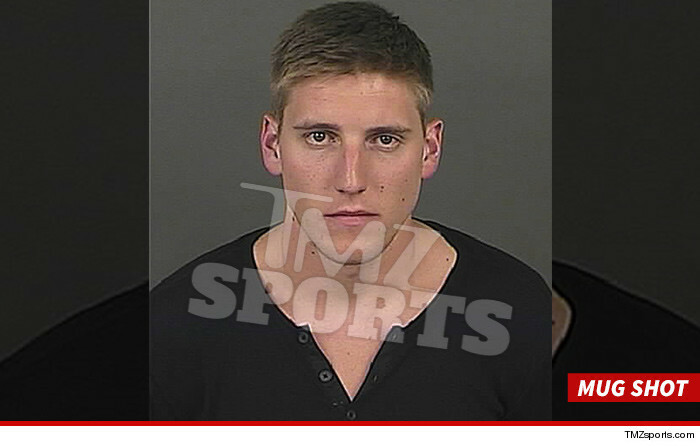 John Elway's son -- a former Arizona State University quarterback -- has been sentenced to domestic violence counseling after an altercation with his GF back in July ... TMZ Sports has learned. As we previously reported, the 25-year-old was arrested in Denver back in May after getting into an argument with his girlfriend and allegedly dragging her out of his car by her hair. According to the police report, Elway then pushed her down to the ground as she tried to get up. Elway was initially charged with assault and disturbing the peace -- but struck a plea deal with prosecutors in which he agreed to plead guilty to the D.T.P. and in exchange the assault charge was dismissed. Let's see if ESPN covers this one. It's been happening for years. People just now noticing because of the Ray Rice video. It's a tall order to ask guys to be warriors on the field and go out there to kill their bodies and then expect them to come home and be model citizens. It's obviously a bad thing and it's possible for some to handle the pressure, but you're gonna have this issue as long as football is the way it is. You have to have somewhat of a loose screw to play as it is. aaaand not a word from ESPN.